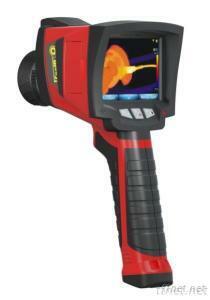 EasIR™ -9 is a high -end infrared camera of Guide EasIR series. In a rugged and ergonomical design, it is robust and shock-resistant for any tough working enviroment. The 3-button design and navigation interface allows users skilled operation without training. Featured with Fusion of infrared light and visible light and built-in illuminator lamp, it helps you pin-point the problem exactly in high efficiency. Using EasIR™ -9, easy for your work.